Only the best parts for the caravan that can get through it all: full galvanised tunnel boot, checker plate wheel spats, Euro double glazed S4 windows, moulded stepwell and front and rear alu panels. In my opinion, the only way to unleash a caravan’s off-road power is to use the most robust of materials. The nation’s best caravan and campsites are celebrating today as the AA announces the winners of the AA Caravan and Camping Awards 2017. This year also sees the introduction of a new award – The AA Glamping Site of the Year, to celebrate the popularity of Glamping. Camping is still such a popular holiday choice and with more and more people opting for ‘staycations’ caravan and camping is a fun and affordable option. All the winners appear in the new AA Caravan and Camping Guide 2017. Over 860 campsites in the Guide have all been visited by one of the AA’s qualified Campsite Inspectors to look at touring pitches, facilities and hospitality before grading the site from one to five Pennants, including the Gold Pennants awarded to the best parks. Each entry within the guide includes location, ratings, contact details, directions, prices, opening times, facilities and a description to help select the right site for your needs. The AA Caravan and Camping Guide is available from The AA Shop for £12.99 and as a free app for iPhone, iPad and Android. The Ultraheat electrical heater in my van has stopped responding to the thermostat. It used switch on and off correctly but now just stays on. Yes, could be worse, but I'd like to fix it. I've replaced the control knob switch and thermostat combo control, but the problem remains. Any ideas, or preferably, experience with the same problem? I am looking for a caravan type that I saw some years ago? It was a 2/4 berth with two wide -long - single beds each side of the van right up to the back wall. The toilet was on the left at the end of the bed in the centre of the van over the single axle, and at the end of the other bed was the shower. There was an arrangement of doors whic allowed the rear bedroom to be isolated from the front end and when that door was closed you had a twin room with on suite. The shower door and toilet door could als be closed for individual privacy. The front end was conventional two seats and dining table to make into a double if required. In this area also was the cooker on one side and on the other sink and fridge etc. I dont remember the maker but it could have been European ?? Adria? Ok so your campsite is the on other side, would you? Spanning a mile across Lake Nakaumi, the concrete bridge links the cities of Matsue and Sakaiminato. The bridge rises very sharply so that ships can pass underneath. Great for boats, maybe not so great for nervous drivers. In addition to the steep inclines and declines, motorists also have to navigate their way through several twists and turns before they can reach the other side of the bridge. Liberty from La Mancelle http://www.la-mancelle.com/en/our-range/liberty/ what do you think? INNOVATION AND COMFORT. With its smooth and round shapes, its optimised aerodynamics, its vintage but truly modern look, choose the Liberty that fits you.... INFINI'MANS and its sporty and dynamic design or PLAISANCE to spend relaxing holidays at the seaside. If you have lost your manual, or the settings aren't available this could be useful. Would be interested to see how it compares to what you know your pressures are. The Eriba Nova S is available in three layouts. There’s the single-axle Nova S 545, plus two twin-axle variants, the Nova S 620 and the Nova S 690, plus all models in the range are winterised as standard, so they are ready for year-round touring. The first models will be on sale from mid-May, however details regarding UK availability are as yet unknown. Had a great weekend away in Godmanchester, today though was a tad on the windy side. Very nice campsite with good company, what more can you ask for. 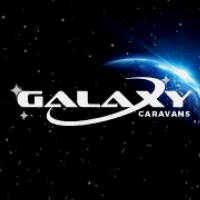 Truma, the innovative system supplier for motorhomes, caravans and mobile applications, is offering the chance to win a brand new Bailey Pegasus caravan from the 2016 model range, worth up-to £25,000, during the Caravan, Camping & Motorhome Show 2016. Not only will the winner get to choose a cutting-edge Bailey Pegasus touring caravan that perfectly suits their needs, whichever model they go for will come fully loaded with the latest Truma accessories including a Truma Mover® XT manoeuvring system, an Aventa air conditioner and a Truma solar panel. That’s not all: The caravan will also come with a Truma DuoControl CS gas regulator, Truma gas filter and Truma LevelCheck which detects the filling level of your gas cylinder. Special highlights: the Pegasus touring caravan is equipped with a Truma Combi heater and the new Truma iNet System. The Combi heater combines hot air and hot water in one reliable, energy-efficient and compact device. With its powerful 6,000 watts, it provides cosy comfort and warmth in record time and makes the Pegasus perfectly suitable for all-year caravanning. The Truma iNet System enables remote control of the Truma heating and air conditioning system via an App on your smartphone or tablet – anywhere and anytime. From the ski slopes, when hiking or simply from under the awning or in bed: “More comfort on the move” in a new dimension is guaranteed! For the opportunity to win the caravan and enjoy the freedom that comes with the caravanning lifestyle showgoers simply need to visit Truma’s stand 3070 at the Caravan, Camping & Motorhome Show 2016 in Birmingham from 23 – 28 February and provide their details. Terms and conditions apply. A fully equipped Bailey Pegasus caravan will be displayed at the Truma stand – the perfect opportunity for visitors to experience the vehicle first-hand and the Truma products installed. The Caravan, Camping & Motorhome Show runs from 23 – 28 February 2016 at the Birmingham NEC with new caravan and motorhome models from leading UK and European manufacturers displayed under one roof. The show is organised by NCC Events, a wholly-owned subsidiary of industry trade body the NCC (National Caravan Council). Tickets are on sale now at advance prices from £7/8* via www.caravancampingmotorhomeshow.co.uk or 0844 873 7333. Hi guys, Looking for some advice on a couple of points. 1 - looking to travel a lot when i eventually get my caravan. Not always going to be able to stop in caravan sites. If i get a few solar panels for the top and a couple of extra batteries, could I hook it all up together? And how many batteries and solar panels would i need to run say a heater, tv, laptop, fridge/freezer and phone? 2 - Is there a way of having waste/water/gas plugged in onboard so i can still use toilet/kitchen on the move and empty when I get to a caravan site? 3 - cooking for 1, how long would a smaller gas bottle last if there were 3 meals a day cooked? All replies would be greatly appreciated. Mountain passes with caravan suitability. Could have done with one of these in Germany.